I'm hoping for the Whirly Fan: Early Walking Cane (17 damage) without the speed boost. is that dps or damage per hit? At Klei it's 15:34 so for them they still have a lot of time to release that update. So maybe yall should understand how timezones work and stop crying "It's 3 am here, Klei why are you delaying that update"
i dont think its 'crying' for people to be excited and wishing it was here. people can be understanding of the fact that timezones exist while still being sad that its not here yet, thats the point of excitement. i think its great that people are looking forward to an update this much! saying a day for relese leaves us all waiting and axious. saying by 8 pm pacific time would give us a more realistic idea just a suguestion. they could always say, due to unforeseen problems, we have to delay this like they did in December. And at 4 am I am going to sleep. Interesting how much time it was left till the update, that I couldn't wait. I will find out it tomorrow Good luck to you all. 1:05 here and still waiting. 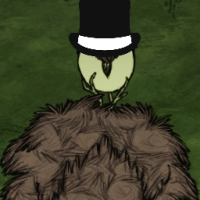 Honestly I don't think most people get mad at Klei. 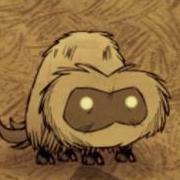 Some people do obviously, but something I appreciate about Klei is that when they know when something isn't ready to release yet, they wait until it is ready, rather than releasing junk that breaks the game. Lots of other developers release whatever they have. Also, Jason mentioned that people in the Dev team have been sick, so it's not really a lack of planning thing. You can't plan for sickness. Lucky you, I want to make polish video from this uptade, so I will sleep 2h, maybe little more. just curious, will my already existing world be compatible with this? didnt see any info about compatiblity with already existing worlds so someone might know it here. ive lurked this forum long before making an account, but i wasnt aware you were referring to a specific post re: drawing out release date, i thought you had an issue with people being impatient even if they didnt get mad at klei about it. sorry if i took what you said out of context! luckily the update seems to be out when im typing this, so all is well. For me the game is crashing... with or withouth mods.